The book Kaliyugada Kalpataru, written by Raja Gururajacharya, (who was the son from the poorvashrama of Sri Raghavendra Swami), is a complete biography of Sri Raghavandra Swami. 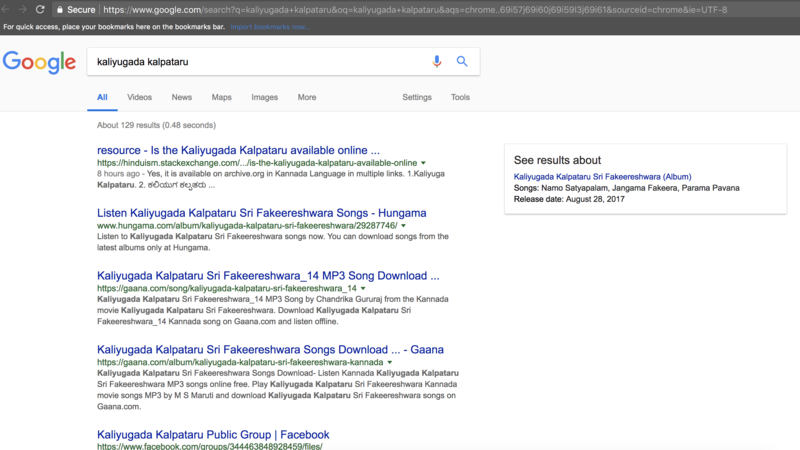 While writing my answer for a question asking about the previous incarnations of Sri Raghavendra Swami, I searched online, but I was not able to find it. Is there an online copy of the book available? Yes, it is available on archive.org in Kannada Language in multiple links. Not the answer you're looking for? Browse other questions tagged resource dvaita . Where can I read the Pancharatra Agamas online in English?